NO Shipping - to pick up from Lizette! "A must-read! 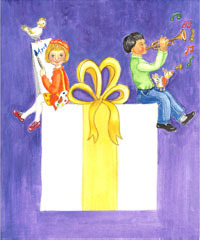 This book will inspire every child to discover their unique gift and share it with the world." - Debbie Happy Cohen, author of I Don't Think So! and Reach Your Stars! Lizette Geisler has given her “gift to the world”: To help children realize their uniqueness and come from a place of love. Children experiencing My Gift to the World are more likely to look inside, discover their own unique gift, and come from that place to make a better world. What better “gift” — to help each child blossom in their own way? —Spencer Kagan, an internationally acclaimed educator, best-selling author and founder of Kagan Publishing and Professional Development. Like fingerprints, snowflakes and trees, each of us has a unique set of traits and talents, which I call “gifts.” My Gift to the World aims to inspire children to discover their true interests and natural abilities - their “gifts to the world” - and then to consider what they will do with their gifts. 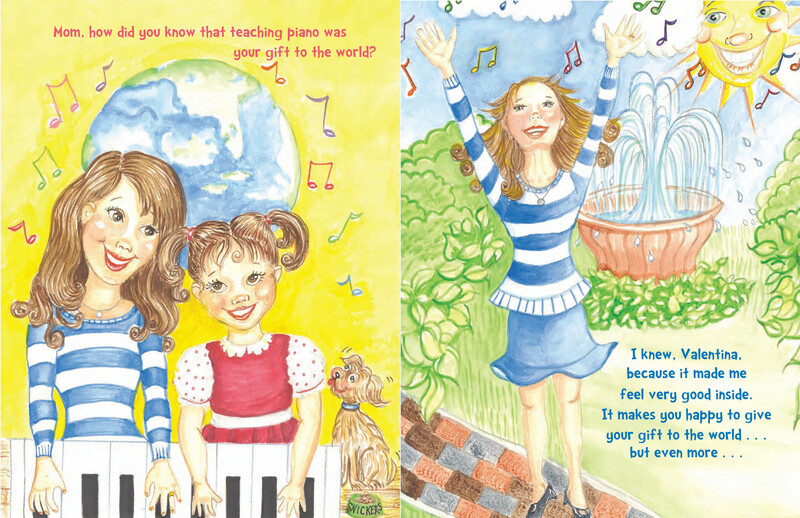 The story, My Gift to the World, is about a little girl named Valentina, who, upon asking her mother why she became a piano teacher, finds out that this was her mother’s “gift to the world.” The mother gives Valentina numerous examples of unique gifts and talents various people have, and how they share them with the world. Ultimately, Valentina is told that finding and doing what she loves will be her gift to the world. 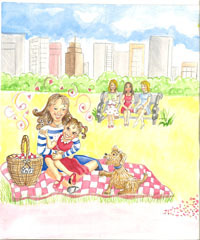 Having taught in both public and private elementary schools for years, and as a contributing author for the book, It’s All About Kids: Every Child Deserves a Teacher of the Year, I have noticed that at the beginning of the school year, we always talk about what the students want to be when they grow up and what kind of jobs they would like to do. And I began thinking, what is really important are not the jobs that are out there, but how do we best identify and nurture into full blossoming our children’s gifts, their unique traits that make them so special? Every child (and adult) has a unique set of traits and talents,* which I call “gifts.” When you are aware of them – either as a parent or a teacher -- it will help you guide them toward their purpose in life, what they have the capacity to give to the world as a service, job, or career. We all know that when you give to others what you’re naturally good at, your own unique gifts, then you’re more likely to be happy . . . and others will be, too! That’s because each person you touch will be able to feel your enthusiasm and passion for life coming through in what you give. I wanted to write a book in which I could talk to students about the importance of discovering their own unique gifts. My Gift to the World will hopefully inspire all children to grow in self-confidence and self-worth, by recognizing we are each blessed with special gifts that expand joy when they are shared with the world!